Now who says that you can't have it all? 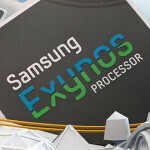 Samsung, playing on its home court of Korea, will be offering a version of the Samsung Galaxy S III that not only has a quad-core Exynos processor, but also includes LTE connectivity. As you probably remember, because of the poor integration between quad-core processors and LTE radios, most handsets offering LTE speed are using the dual-core Qualcomm Snapdragon MSM8960 S4 as a replacement. While not quad-core, the S4 has performed quite admirably in benchmark tests. It's the same reason why AT&T's version of the HTC One X doesn't feature the Tegra 3 like the International model does. 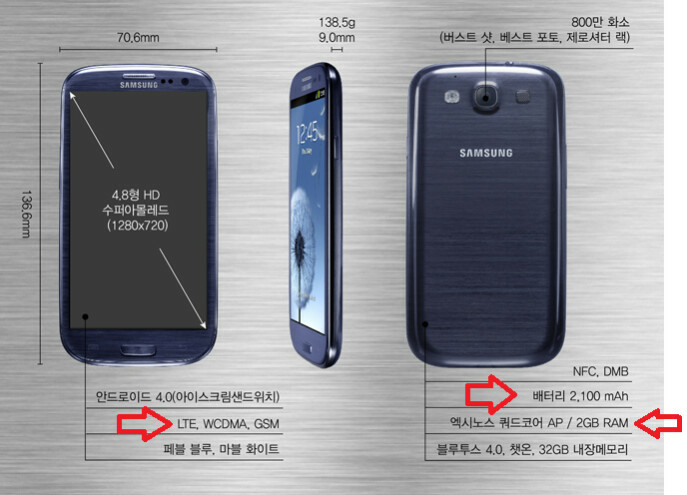 But starting on July 9th, a trio of Korean carriers, SK Telecom, KT and LG U+, will be offering a version of the Samsung Galaxy S III that not only is powered by the quad-core Exynos processor, it also will feature LTE connectivity. This version of the most wanted phone of the year thus far, will have a 2,100mAh battery, 2GB of RAM and DMB TV tuning. Will there be some sort of karmic payback? Most likely the Koreans totin' this model will be addicted to finding a place to plug in the phone's charger. From the moment they get up in the morning, to the time their head hits the pillow, these Samsung Galaxy S III owners will be consumed with one thought in their mind: I have to plug in my phone. And that's despite a 2,100mAh battery that is no slouch. But it probably will be worth it for the quad-core Exynos speed and the ability to run the Samsung Galaxy S III over zippy LTE pipelines. Why not in the states? Because America's LTE isnt compatible with the Quad Core processors. I would love to see this here in the U.S.A. with a bigger battery but if released now i would be a bit upset since i just paid full price for a dual core s3. I suppose you have to have something more to look forward to in the galaxy s IV in 2013. That is unless u believe the world will end on dec 21 this year, in that case enjoy your last phone. Why not switch off Lte by default,and turn it on when needed? I wonder what took them so long to arrive in south korea while these phones are made in korea itself. Did they give the galaxy s2 lte/hd lte some time before it's already considered old? Im happy if hspa compatiblewith that spec. over exaggerate much on the battery? lolol. "i just woke up.. my phone has been on the charger all night.. i need to find another place to charge it!" lol easy answer.. turn LTE off unless you are doing heavy streaming. I would still kill to get my hands on that version. quad core and 2gig ram. :) i want to see the benchmarks. Someone must have paid off money somewhere dumping these Qualcomms into both htc and samsung high end phones for the USA.